An excellent copy. Clean and tight, some pages unopened. 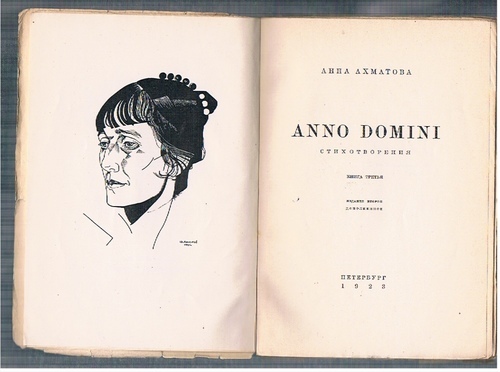 Original wrappers printed in blue and black, 192x135mm., Annenkov's portrait of Akhmatova as frontispiece. [Petropolis & Alkonost, Berlin, 1922]. 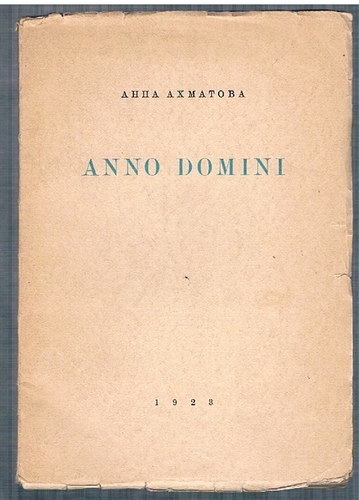 Printer's mark by Mstislav Dobuzhinsky. 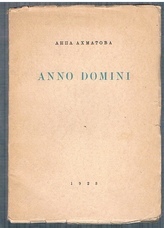 ; First published in 1921 as Anno Domini MCMXXI, this is an expanded edition with new poems added.